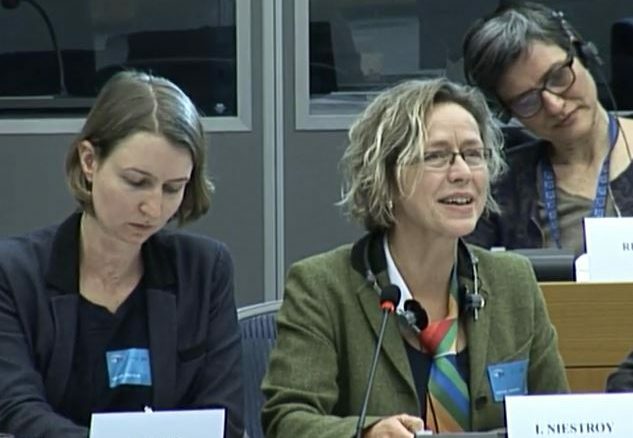 On Thursday 7 February, Ingeborg Niestroy (PS4SD) and Elisabeth Hege (IDDRI) co-presented the new study “Europe’s approach to implementing the Sustainable Development Goals: Good practices and the way forward”, at a public hearing organised in Brussels by the European Parliament. Other speakers included 1st Vice-President Frans Timmermans of the European Commission and Jeffry Sachs, founder of SDSN. The study, commissioned by the European Parliament was co-authored by Ingeborg Niestroy (PS4SD), Elisabeth Hege (IDDRI), and Elizabeth Dirth and Ruben Zondervan (Earth System Governance). The hearing was organised by the EP Committee on Development (DEVE) and the Committee on the Environment, Public Health and Food Safety (ENVI). Download the study here.